Don’t be surprise seeing Nigeria in the list, Nigerians got talent and its another proof about it. 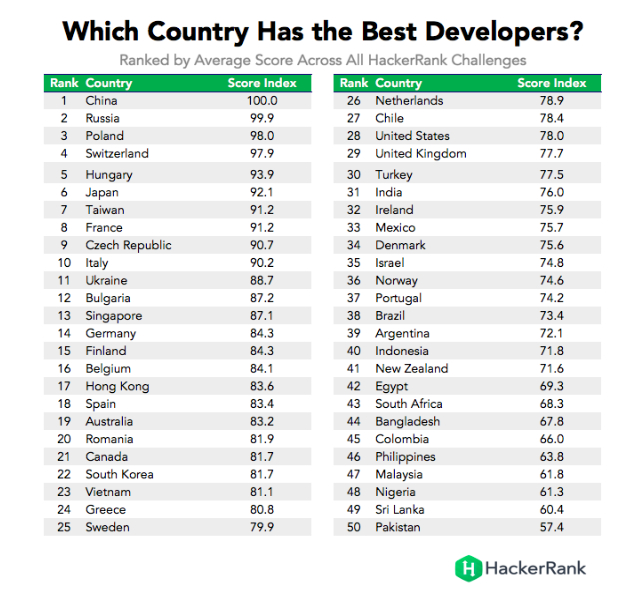 According to a new report from HackerRank, says that China has the best programmers and developers in world while Russia takes the third position, and Poland takes third position. Among the African countries, Nigeria made the list ranking 48 in the table while Egypt (42) and South Africa (43). 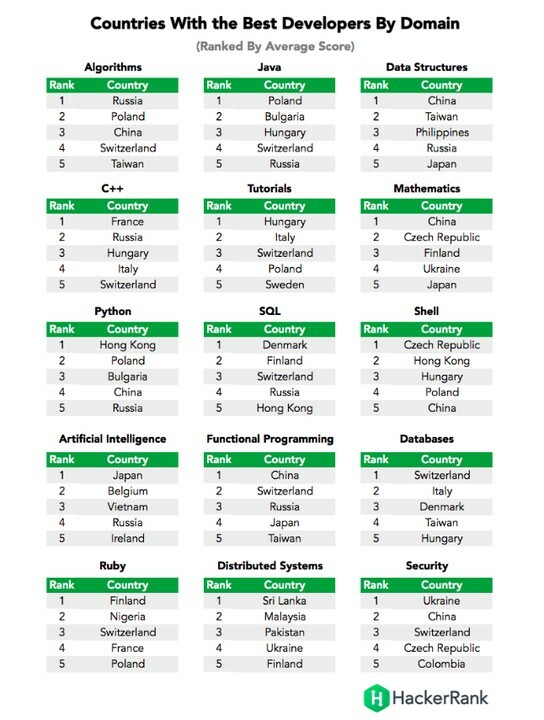 Going through the list, the traditional programming powerhouses like the United States and India came in at 28th and 31st, respectively. most popular and most competitive arena,” according to HackerRank. The report also showcase the countries that produce the best developers in a particular skill area.